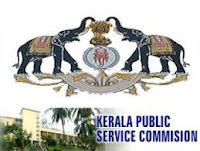 Kerala Public Service Commission (KPSC) has issued recruitment notification for 48 post of Pharmacist, Caretaker, Lecturer, Technical Storekeeper, Data Entry Operator & Instructor Posts. Qualification : Candidates must be possess 10th/Diploma/Degree/B.E/B.Tech from a recognized university. Selection Process : Candidates will be selected on the basis of written test. How to Apply : Candidates must be apply online from it's official website of Kerala PSC www.keralapsc.gov.in on or before 03rd July, 2013.